Turmeric, which has the scientific name Curcuma longa, has been used for 4,000 years as a preventive and healing agent. It is the main spice in curry and could be the most powerful healing herb on the planet. It is naturally anti-inflammatory, antioxidant, antiviral, antibacterial, antifungal, and anti-cancer. There are currently 10,147 peer-reviewed published articles showing the health benefits of turmeric and it’s active substance called curcumin. This ingredient is a powerful antioxidant and has been shown to reduce levels of inflammation in the body. When you look at the science, there’s remarkable evidence as to why we should be including turmeric in our daily dietary regimen. For over 25 years, I’ve treated thousands of patients with back and neck issues. The pain can be debilitating! While many people choose to use prescription pain pills or over the counter medications, long term use of these drugs can have many negative side effects, including decreased white blood cells, ulcers and intestinal bleeding. I always recommend turmeric to my patients. It’s comparable to powerful corticosteroids and prescription anti-inflammatory drugs without the negative side effects. Arthritis can also be helped with turmeric because of its anti-inflammatory properties and ability to improve circulation to the joints, boost the healing process and inhibit prostaglandins, the hormones in our body that produce pain. In addition, preliminary studies suggest that turmeric promotes a normal inflammatory response by inhibiting the expression of the COX-2 “pain” enzyme. Bloating, frequent diarrhea or constipation, gas, abdominal pain, even heartburn and acid reflux, can all be signs of underlining inflammation that is affecting your digestive system. A study published by the National Center for Biotechnology showed that turmeric is effective at alleviating these digestive symptoms compared to a placebo. Research studies have also shown turmeric can stimulate the gallbladder and release bile. This bile helps the body break down and digest food. Turmeric also plays an important role in absorbing fats and certain nutrients. 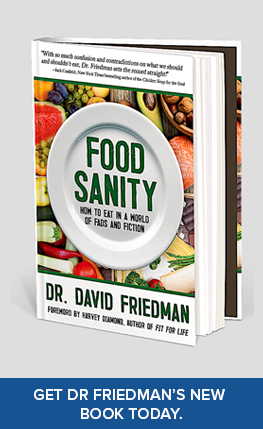 Digestive diseases are at an all time high! 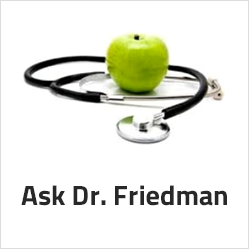 They are disruptive, and frustratingly difficult for conventional medicine to treat effectively. In addition to common digestive ailments brought on by viruses, stress, or diet, each day, millions of Americans suffer from irritable bowel syndrome (IBS), Crohn’s disease, or ulcerative colitis. It’s estimated that 1 in 5 Americans have IBS. In an 8-week study of people with IBS, published in 2004 in the Journal of Alternative and Complimentary Medicine, a standardized extract of curcumin was associated with a 25% reduction in abdominal pain, and two-thirds of participants reported an improvement in overall symptoms. In another study published in 2005 by the Journal of Digestive Diseases and Sciences, patients suffering with IBD who received curcumin along with the standard anti-inflammatory drugs (including steroids), were able to reduce or completely stop the medications, and their inflammation markers decreased to within normal limits. Another great benefit of curcumin is its ability to strengthen the intestinal wall to prevent harmful bacteria from passing out of the intestines and reaching other organs, such as the liver and kidneys. Turmeric has great benefits in the treatment of ulcerative colitis. According to the University of Maryland Medical Center, turmeric can help keep ulcerative colitis in remission. 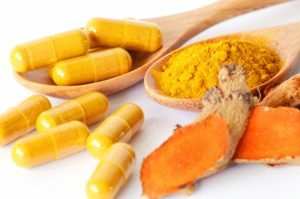 In one study, participants who took turmeric had a significantly lower relapse rate compared to those who consumed a placebo. In March of 2011, research published in the Journal of Cancer Prevention Research, studied men with ulcerative colitis lesions in the colon (which can turn cancerous.) After being put on daily curcumin for a month, their number of lesions reduced by 40%. 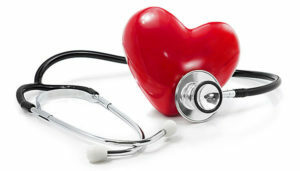 Turmeric may prevent heart disease and reduce the risk of heart attacks. This was the conclusion of a study published in the American Journal of Cardiology. The antioxidant and anti-inflammatory properties of the compound can lower the chance of heart attacks among bypass patients by as much as 65 percent. Turmeric is effective in preventing atherosclerosis, or plaque buildup that leads to the blockage of arteries. Studies show turmeric extract may reduce cholesterol levels and also prevent LDL or bad cholesterol from building up in blood vessels. By preventing atherosclerosis, this can drastically reduce a person’s risk of having a stroke. A compelling new study published in the Journal of Nutrition and Metabolism found that a daily dose of turmeric extract significantly improved the functional state of the blood vessels of healthy adults within just eight weeks. The randomized, controlled, double-blind parallel prospective study involved healthy adults who were assigned to either a placebo or curcumin, for 8 weeks. The study provided background on what is believed to be a primary underlying cause of cardiovascular disease, namely, the inability of the inner lining of blood vessels (endothelium) to dilate fully. The group that took curcumin, resulted in what was determined to be a “clinically substantial” 3.0% increase in flow-mediated dilation. Turmeric has been shown to be as effective as exercise and work as well as the drug Atorvastatin. In a 2012 study published by the American Journal of Cardiology, 121 patients who were undergoing coronary artery bypass surgery were randomized to either placebo or taking curcumin each day, prior to and after the surgery. The curcumin group had a 65% decreased risk of experiencing a heart attack in the hospital. 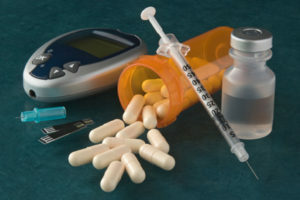 Even the American Diabetic Association’s own journal, Diabetes Care, published an article, “Curcumin extract for the prevention of type 2 diabetes,” which found that the administration of six capsules containing 250 mg of curcumin daily for 9 months was 100% effective at preventing the development of type 2 diabetes in prediabetics. These results are very promising considering the dangerous side effects of diabetic drugs. Tumeric is a natural, safe and affordable alternative. Studies show that turmeric can treat depression, anxiety, brain aging and more. 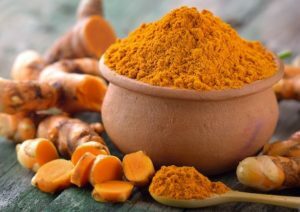 Curcumin is capable of crossing the blood-brain barrier, which is one factor that has led researchers to investigate its potential as a neuroprotective agent for neurological disorders such as Parkinson’s and Alzheimer’s disease. Curcumin shows great potential as a natural antidepressant and has been found to be as effective for depression as the popular selective serotonin reuptake inhibitor Prozac. This is great news for the millions who have tried antidepressants without success or for those who’ve experienced unacceptable side effects. Some remarkable research published in The Journal of Psychopharmacology shows Curcumin increases two key neurotransmitters linked to depression, serotonin and dopamine. Turmerone is another compound found in turmeric that has been shown to have beneficial effects on the brain. One study published on BioMed Central found that turmerone can support neural stem cells in repairing the brain. This shows promise in treating Alzheimer’s disease and stroke. It was also shown to boost memory among Alzheimer’s patients. 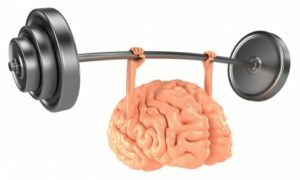 One of the main drivers of this process is Brain-Derived Neurotrophic Factor (BDNF), which is a type of growth hormone that functions in the brain. Many common brain disorders have been linked to decreased levels of this hormone. According to the Journal of Biological Psychiatry, this includes depression and Alzheimer’s disease. Curcumin has also been shown to increase brain levels of BDNF which may be effective at delaying or even reversing many brain diseases and age-related decreases in brain function. Perhaps the most compelling benefit of turmeric is its ability to help the body fend off cancer formation and growth. It’s not too often that science backs up claims that a food item can have anti-cancer benefits, but turmeric is currently being heavily researched, and the findings suggest that it actually may work to help prevent cancer and keep it from getting worse. Studies published in the Journal of the American Association of Pharmaceutical Scientists, have shown that it can reduce angiogenesis (growth of new blood vessels in tumors), metastasis (spread of cancer), as well as contributing to the death of cancerous cells. Even the American Cancer Society showed that curcumin interferes with the molecular process that leads to cancer development and spread. The compound also has the ability to destroy cancer cells and shrink tumors, while improving the effects of chemotherapy. Another great benefit of turmeric is its ability to improve liver function. Studies show that turmeric may support the body’s detox processes, lowering the harm from carcinogens. It also promotes formation of glutathione S-transferase (GST) enzymes, which help detoxify the liver. Turmeric is available as capsules, powders, and tablets. You can also buy the actual natural raw herb. Turmeric capsules and tablets may be taken directly, and the powder can be added to food, particularly salads, soups or dressings. Turmeric supplements aren’t easily absorbed by the body so it’s recommended to find one that contains piperine, a chemical found in black pepper that has been shown to increase curcumin absorption by up to 2000%. You can also increase absorption in the stomach by taking a turmeric supplement with a healthy fat like salmon, dark chocolate, flaxseed oil, coconut milk, almond butter or any high-quality nut butter. Another option is to take it with foods that are high in quercetin, a compound found in apples, onions, grapes, citrus fruit, dark cherries, dark berries such as blueberries and blackberries. Quercetin inhibits the enzymes that deactivate curcumin making it more assimilated by the body. * Aggarwal BB, et al. “ Curcumin: the Indian solid gold.” Adv Exp Med Biol. 2007;595:1-75. * Bundy R, Walker AF, Middleton RW, Booth J. Turmeric extract may improve irritable bowel syndrome symptomology in otherwise healthy adults: a pilot study. J Altern Complement Med. 2004;10(6):1015-8. * Holt PR, Katz S, Kirshoff R. Curcumin therapy in inflammatory bowel disease: a pilot study. Dig Dis Sci. 2005;50(11):2191-3. * Bereswill S, Muñoz M, Fischer A, et al. Anti-inflammatory effects of resveratrol, curcumin and simvastatin in acute small intestinal inflammation. PLoS One. 2010;5(12):e15099. * Akazawa N, et al. “Curcumin ingestion and exercise training improve vascular endothelial function in postmenopausal women.” Nutr Res. 2012 Oct;32(10):795-9. doi: 10.1016/j.nutres.2012.09.002. 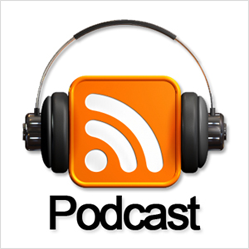 Epub 2012 Oct 15. * Usharani P et al. “Effect of NCB-02, atorvastatin and placebo on endothelial function, oxidative stress and inflammatory markers in patients with type 2 diabetes mellitus: a randomized, parallel-group, placebo-controlled, 8-week study.” Drugs R D. 2008;9(4):243-50. * Wongcharoen W, et al. “ Effects of curcuminoids on frequency of acute myocardial infarction after coronary artery bypass grafting.” Am J Cardiol. 2012 Jul 1;110(1):40-4. doi: 10.1016/j.amjcard.2012.02.043. Epub 2012 Apr 3. * Jayaraj Ravindran, et al. “ Curcumin and Cancer Cells: How Many Ways Can Curry Kill Tumor Cells Selectively?” AAPS J. 2009 Sep; 11(3): 495–510. * Somlak Chuengsamarn, MD, et al. “Curcumin Extract for Prevention of Type 2 Diabetes” Diabetes Care. 2012 Nov; 35(11): 2121–2127. * Devin K. Binder. “Brain-derived Neurotrophic Factor” Growth Factors. 2004 Sep; 22(3): 123–131. * Anand P et al. “Curcumin and cancer: an “old-age” disease with an “age-old” solution.” Cancer Lett. 2008 Aug 18;267(1):133-64. doi: 10.1016/j.canlet.2008.03.025.